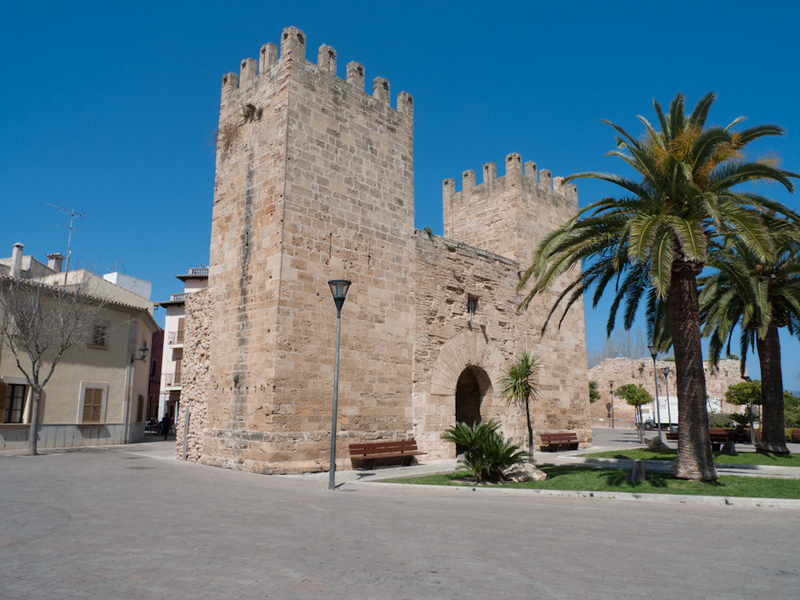 The old town of Alcúdia used to be surrounded by a fortified Mediaeval city wall, built during the 14th century and modified during the 16th century. The Southern and Western remnants of this bulwark are still largely intact; one can climb up and walk along most of its remaining expanse. Two massive gates are part of that wall, Porta de Mallorca, also known also as Porta de Sant Sebastià (the Western gate) and Porta de Xara, also known also as Porta de Moll (the Eastern gate), shown here. 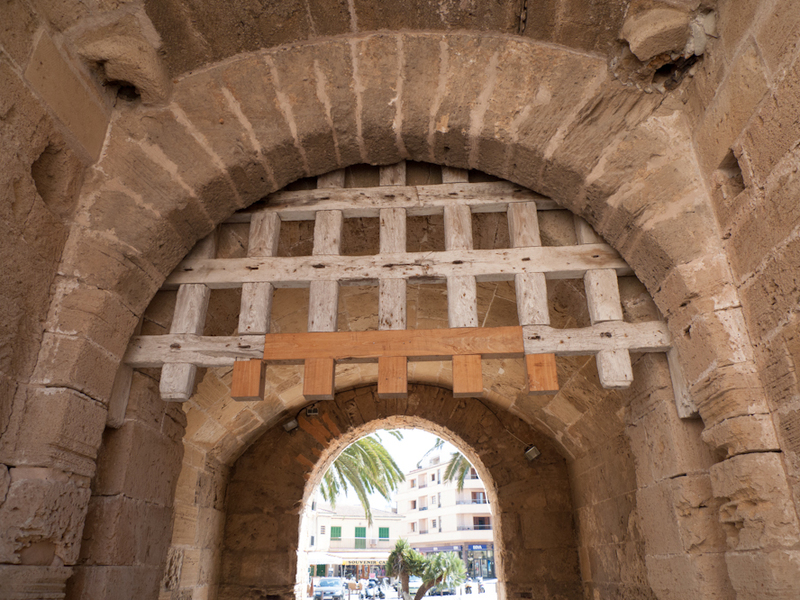 The Porta de Xara still preserves its original Mediaeval portcullis, carpentered in wood some 400 years ago (photo below). The photos were taken in Alcúdia, Mallorca, Baleares, Spain. 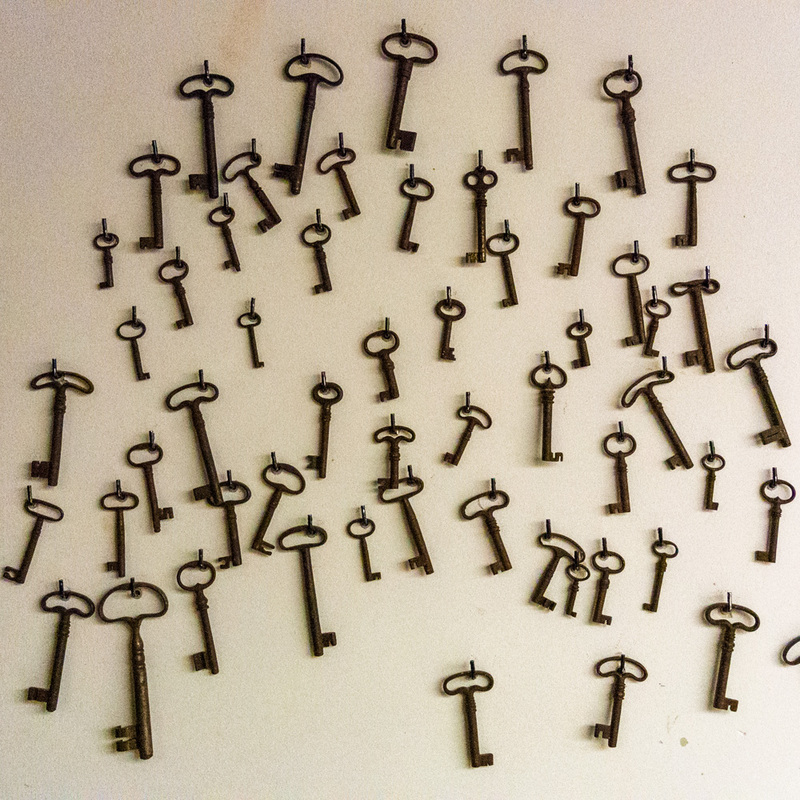 The date: March 30th, 2012. The time was 13:11:13 and 13:07:22, respectively.